Right Sector, a Ukrainian ultra-nationalist movement and illegally armed militia, now has a smartphone application which allows it to organize its tactics, according to the Vocativ news website. 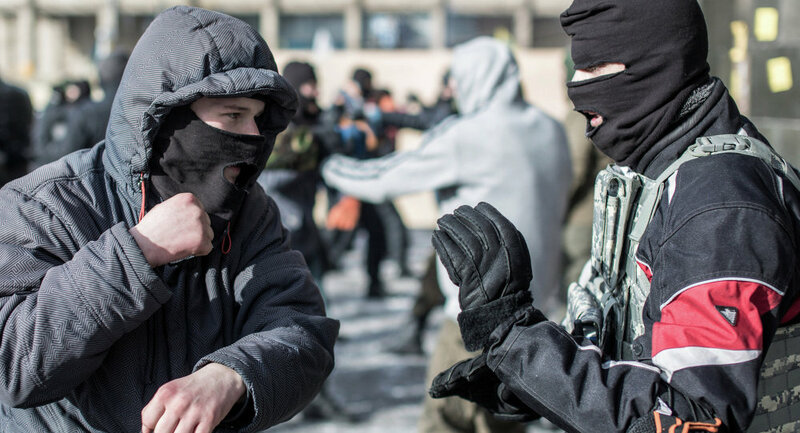 MOSCOW, April 10 (RIA Novosti) – Right Sector, a Ukrainian ultra-nationalist movement and illegally armed militia, now has a smartphone application which allows it to organize its tactics, according to the Vocativ news website. The Right Sector app can be downloaded on the Google Play market for Android devices and was released last week, according to the Google Play store. The application has an anonymous chatting feature, which allows its members to share information about upcoming events, with chat data stored for five hours only. The app also allows its users to make donations to the movement. The application was created by Ivan Panchenko, who has denied that he is a member of the far-right movement, according to Vocativ. Panchenko is working on an upgrade which will block the download of the app within Russia and he also wants to make an English language version. Right Sector was an important force at the Euromaidan protests that began in November in Kiev and the group hs played a significant role in recent Ukraine events. It is a major ally of the neo-Nazi Svoboda party led by Oleh Tyahnybok, a member of the new Ukrainian government. Right Sector fighters were notorious for using clubs, Molotov cocktails, and firearms against Ukrainian police during the protests, and for wearing Nazi-inspired insignia. Russia put the leader of Right Sector, Dmitry Yarosh, on an international wanted list and has charged him with inciting terrorism. Moscow has described the uprising in Kiev as an illegitimate fascist coup, which resulted in it taking steps to protect ethnic Russians in Ukraine, including the reunification of Crimea.